Please enter your email address to reset your password. You will recieve an email shortly. Become an MLV Club member and enjoy free benefits, exclusive rates and privileged packages. Caprice bar is an old time classic value in the nightlife of Mykonos. Newsweek has put Caprice in the list of the top ten bars around the world. Everyone who has visited Mykonos and Caprice, will agree on that. The unique party atmosphere, which makes you feel that you are surrounded by friends, the extraordinary cocktails, the bouquets of fresh fruits and flowers that decorate Caprice, for sure make it one of a kind. For thirty years in the same spot by the sea at Little Venice. We carefully select one by one the highest-level luxury villas in Mykonos for you in order to satisfy your individual precious needs. We always find all the possible ways to reward you with its unlimited benefits, exclusive club rates and privileged packages that cover all your requirements. MLV boosts the most conclusive villa collection and let you choose between the largest villa's price range. 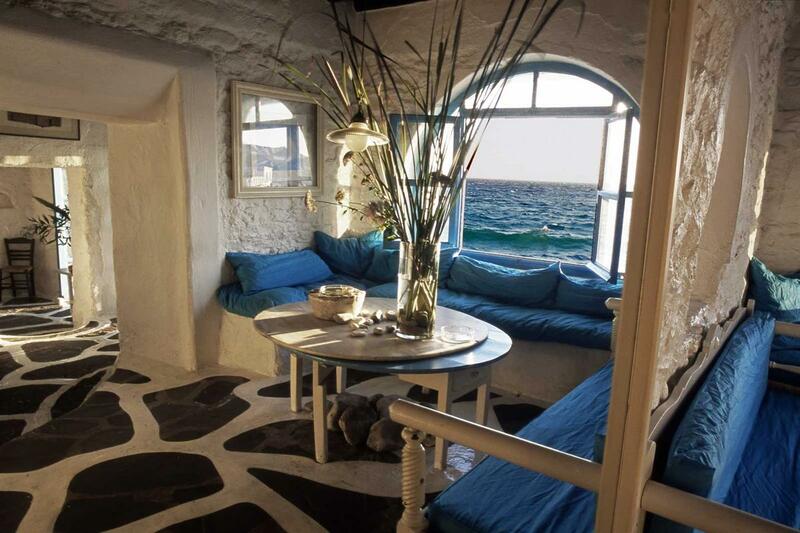 We guarantee the best villa rates in Mykonos. Our expert team is always by your side to organize dreamy tailor-made vacations and provide you customized services that fit your personal tastes. Only in MLV you will be rewarded with extra free nights and you will extend your stay with no extra cost. The following terms and conditions apply for your participation as member of the MLV Club of MYKONOS LUXURY VILLAS. Please read and check very carefully the following terms and conditions, in order to be entirely informed, since your participation as a member of the MLV CLUB is regulated by the terms below and you have full responsibility for adhering to these rules. MLV CLUB is a recognition program which each guest that collaborates with MLV Company could join. All adults, above 18 years old, from all around the world have the right to participate to this rewarding program. The advantages and the services which are offered are matter of discretion of the MLV CLUB. These concerns only registered members and the villas that are presented on the company’s website. The company reserves the right to add or remove, at its sole discretion, any villa without any notice, limitation and rule. The company is entitled to add, delete or change the terms and conditions at any time without any notice, limitations, rules and any kind of procedure. In case of such an alteration, there is the possibility that the awards will be affected, but they will never be confined and the members will still be able to enjoy exclusive benefits and amenities. The company and every partner of the company, refuse clearly any responsibility in regards to the type, the quality and the appropriateness of the goods and services that are provided by MLV CLUB, so that it avoids any spiteful act that may occur by unfair competition. The company is not responsible and has the right to correct errors regarding the description, typing mistakes that are related to the category of membership and villas. Benefits and rewards like, discounts for each additional day of your stay, Early check in, Late check out, extra overnights in specific periods of time, depend directly on the availability of every and each villa, the time period and also the Booking Terms and Conditions of each booking and please note that they are subject to change. Each member has entirely the responsibility to adhere to all the terms and conditions and has to coincide with the company’s opinion, because only in this case his or her participation is considered valid, keeping the right to access to the exclusive, free of charge advantages. The benefits cannot be combined with a discount. The membership starts right after your registration, completing the online form and after you receive your personal, unique member’s number, that you should keep so you are able to use it to all your future reservations, without having the right to lend or deed it to anyone for any reason. All the members, regardless their membership category, reserve the right to sign the termination of their participation at any time they like to do so. The company commits that will not use personal data of its members for any reason, apart from reasons that are included in your participation. The company has the right to delete its members from the program with a written notice, if it is considered that they do not comply with any of the Terms & Conditions of the program or any of the Booking Terms & Conditions that have already accepted before they proceed with the reservation. The participation to the program is offered without any additional charge. The company reserves the right to end or change part or the entire package of the benefits as well as the content of its website, at its sole discretion and without any previous notice. Offers, amenities and advantages that are presented on information sheets and newsletters or on its website may change anytime. Hence, the members need to check and revise the details before they finalize their reservation. The above Terms and Conditions regarding the reward program of the MLV CLUB in combination with the Booking Terms & Conditions that are related to the terms of the booking for the villa of your interest, which you receive via email before you proceed with the booking, and also the website policy compose the entire agreement between the company and you, regarding your participation with the free of charge benefits, excluding the existence of any other term, condition or guarantee for any reason and cause. Additional and extra services, in which you may be interested that we or our external partners will offer you, kindly be advised that additional terms and conditions may apply which will be clear and acknowledged, before you proceed to any type of commitment. Any conflict, requisition, or any kind of argument that emerges for any reason, by or related to the above terms and conditions, governed by the Greek law and responsible for the resolution of any disagreement is irretrievably the Greek courts.